Grilled Steak Tips Over a Wood Charcoal Fire Recipe; The Fragrance for Men! I swear, if I could bottle the smell of grilled steak tips into a cologne, I’d be a happy man (with a lot of bottles of cologne and likely a lot of debt). But what better way to bring us back to those good old caveman days of meat and fire (and short life expectancy – what?!? Just keeping the mood light?) than grilling marinated tips over a wood fire until they are so tender you just want to bottle it (what is wrong with me?!?! I’m obsessed with this bottling idea, right??!!?? That would never work, would it? Why? You interested in investing???). Today I’m sharing my marinated grilled steak tips recipe that is as easy as it is delightful, whether you’re bottling your steak tips for further fragrance use or sitting down for dinner. To be fair, this recipe is a modified version from my buddy Andy’s tips but I’ve added my own Paggi Pazzo twist to make this grilled marinated steak tips recipe my own. I prefer to buy my tips pre-cut and as whole strips but you can cut yours before grilling or buy them cut as well, the choice is yours. 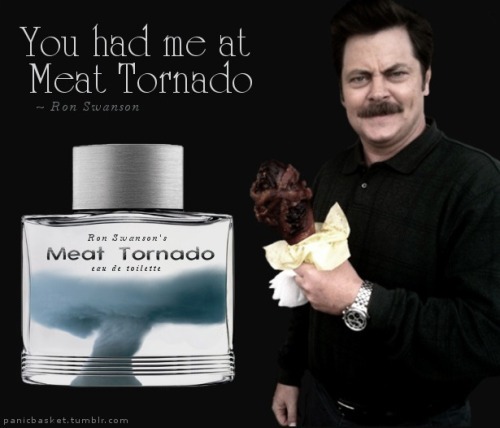 I prefer them uncut when putting on the grill because when the steak tips are done and then sliced into tips, half the edges are crispy while the others are medium rare and tender to the touch (just like my new cologne – Tender Tips for Men, represented by our spokesman Ron Swanson). Start your marinade by putting together in a bowl (or large zip-lock bag) olive oil, red wine vinegar, BBQ sauce (I prefer honey BBQ sauce – giddy up!!! ), Worcestershire sauce, garlic powder, onion powder, salt, pepper and finally mayonnaise (just kidding on the mayo). Add your tips and let sit overnight (in the fridge of course) and when they’re ready – fire up your charcoal grill! I like to use mesquite wood chunks for the tips with lump hardwood charcoal to give my cologne…uhhhhh, I mean steak tips…a nice smokey flavor. When the wood charcoal is nice and grey, dump into the grill pit and dress the grates with olive oil or a half-cut onion. Now you can throw those bad boy steak tips on the grill!!! Over high heat, I char each side for about 2 minutes and then move the steak tips to a medium heat zone where I grill for another 7 minutes per side. Once they’re done, I go against conventional wisdom and slice the steaks into tips immediately so that some of the outside edges are nice and rare. Most would wait 5-10 minutes to cut but I don’t want the soon to be outside pieces to keep cooking internally. I love a nice hearty red wine to go with my marinated steak tips so I usually recommend an Argentinian Malbec, a Californian Cabernet Sauvignon, or a French Médoc. You really can’t go wrong with any of these. So there you have it, Paggi Pazzo’s newest cologne, errrr – grilled marinated steak tips over a wood charcoal fire, enjoy!!! 4.5 out of 5 stars based on 28 ratings. Click here for full Grilled Marinated Steak Tips Recipe and other Paggi Pazzo recipes. Fresh Mozzarella, Fontina and Prosciutto Cotto Calzone – Get in The Zone! Fresh Mozzarella, Fontina and Prosciutto Cotto Calzone Recipe – Feel the Power of the ‘Zone! Who doesn’t like a good calzone? Anyone? For those of you not familiar with the calzone (and have been living in North Korea for the last 50 years), it’s basically a pizza inside out with virtually the same ingredients but for clarification, the pronunciation is “cal-zone-eh“. Almost like you were doing an imitation of the Fonze while you’re finishing the last syllable. 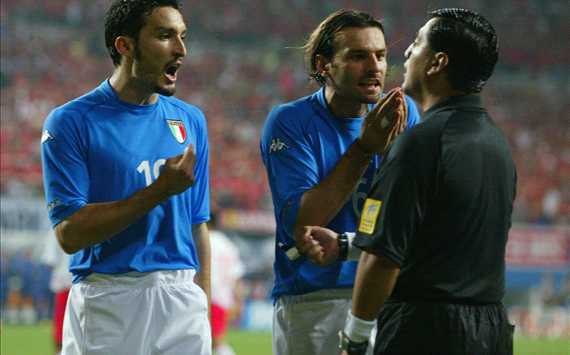 It’s also imperative you use hand gestures like these guys when speaking of “the calzone“!. The phrase in Italian translates to “pants” and to be quite honest it makes absolutely no sense! I mean, really “pants”? C’mon!!! Ok,ok….settle down. I actually left an important part out. The translation refers to a “pants pocket”…….which could mean something like a pizza filled entree but I’m still not sure I’m buying this?!?!?! Let’s move on, shall we? I like to prepare a homemade calzone similar to a stromboli (which includes red sauce in the middle) but unlike here in the States where provolone or sliced mozzarella is used and a stromboli is rolled (which I do not do for the calzone), I prefer fresh mozzarella and fontina cheese with prosciutto cotto (one of my personal favorites), mushrooms, extra basil, and a light sprinkling of grated Reggiano Parmigiano on top. I was feeling pretty bold when I decided to prepare some homemade calzoni (plural) for my cousin from Rome who was recently visiting with friends and offering Italian food to Italians can be a dicey proposition, but I was in the “Calzone-Zone” my friends, I was feeling it! Thankfully, this recipe got a nod of approval from them and the food went fast, as did the Nastro Azzurro and vino! So if that’s any indication I think you’ll find this recipe to pass the test because once you get into the zone of making the calzone (aka…the “Calzone-Zone!”), you’ll feel like a dancing machine that can’t be stopped! To get started, I buy a 16 oz. pizza dough (but you can certainly make your own homemade dough), and flour both sides before rolling with a dough roller back and forth to get a nice oval shape, but one that is not too thin (we’re going to fold the dough over so depending on how many ingredients you want to add into the filling, I would not roll the dough too excessively to put too much weight on the bottom). Add the dough onto a cooking sheet pan that has been dressed very lightly with olive oil and begin to make a column of all the ingredients layered on top of one another. I prefer to start with the fresh mozzarella, followed by the prosciutto cotto, basil, mushrooms, and fontina but feel free to blaze your own trail! Once the filling is settled, fold over the dough and press the edges together with a dab of olive oil and slightly roll the edges to create a pretzel like outside. This makes sure that the filling won’t escape (leave no ingredient behind!!!). Once completed, sprinkle grated Reggiano Parmigiano on top with a drizzle of olive oil and cut four small slits across (this will allow the dough to rise without air bubbles forming during the cooking process). Now you’re in the zone! Or should be in the zone….but we’re not talking Top Gun Danger Zone here, we’re talking “Calzone-Zone“! You’ll get it eventually, don’t be beat yourself up….really, relax! Just let it come to you. Set your oven to 425 degrees and cook for 25 minutes and then you’ll have a golden calzone ready to be devoured! I would wait to cut the calzone for 10-15 minutes after removing from the oven so the inside finishes cooking and use a pizza cutter to slice the servings, I find that it works better. Some people like red sauce on the side to add to the calzone so if you prefer by all means do so! I personally think the sauce will takeaway from some of the calzone flavors and I couldn’t help but notice that my cousin and his friends did not partake either (but to each his own, right?). My wife loves the sauce on the side for a variety of things so I make sure to appease her when possible (#1 lesson in life). So there you have it, Homemade Calzone Recipe from Paggi Pazzo, get in the Calzone-Zone my friends! Slice and ready to serve! 5 out of 5 stars based on 5 ratings. Click here for full Homemade Calzone Recipe and other Paggi Pazzo recipes.